The tour examines tuberculosis in the mid-19th century, the influenza pandemic of 1918, and the AIDS crisis of the 1980s. Disease and illness have always dragged stigma along with them, particularly for minorities and immigrant groups. A new Tenement Museum tour beginning Thursday night explores those themes and more. “Life and Death at the Tenement” discusses public health, the impact of illness on tenement life and the public view of immigrants, through stories of residents who suffered from three public health crises: Tuberculosis in the mid-19th century, the influenza pandemic of 1918 and the AIDS crisis in the 1980s. The new tour is also the Tenement Museum’s first to connect both its historic buildings at 97 and 103 Orchard St.
"It's a sort of grim subject matter in some ways, but I think it allows this particular tour to get at some really interesting and important ideas and to look at the history of this building and the people who once called it home . . . in a different way,” said Director of Curatorial Affairs David Favaloro. The new tour examines how, before there was a scientific understanding of what caused disease, society believed sickness was a sign of immorality or wrongdoing. However, even with scientific advancements, certain prejudices remained. “The other really important idea, or theme, for us is the way that fear of contagion, or fear of disease, has been used to stigmatize immigrants,” Favaloro said. “Life and Death at the Tenement” is part of the international collaborative project Contagious Cities, sponsored by the UK’s Wellcome Trust. The project is holding exhibits in Geneva, Hong Kong and New York City to focus on the challenges of epidemic preparedness and to mark the centenary of the 1918 flu pandemic. The first story told on the tour is of John and Caroline Schneider — a German-born couple who operated a saloon on the ground floor of 97 Orchard Street and contracted Tuberculosis in the mid-19th century, but continued to run the saloon. The Burinescu family who lived at 97 Orchard St. during the 1918 influenza pandemic is the focus of the second story. 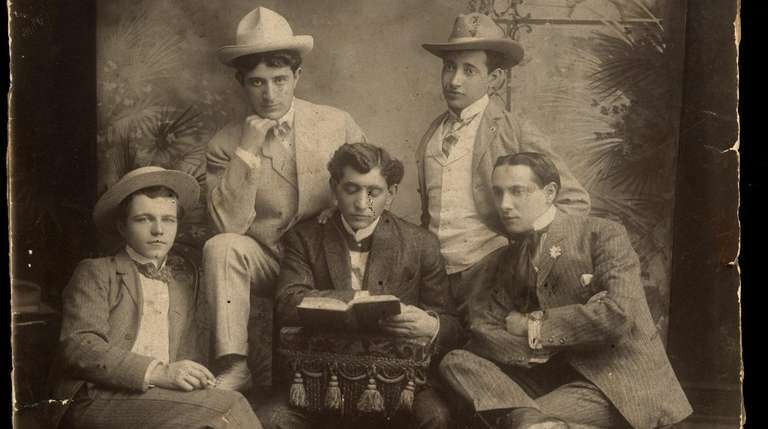 Jacob Burinescu was an amateur actor who contracted the flu and died after visiting sick members of his Yiddish acting troupe. The third story is told in 103 Orchard St., where Jose “Benny” Beniquez Santiago and Crispin Ramoz lived in the 1980s and ‘90s. The Puerto Rican couple suffered from HIV, and their heartbreaking story, which explores the prejudice around the AIDS crisis, is told through the lens of their neighbors. “Life and Death at the Tenement” runs from 6:30 to 8 p.m. as part of the museum’s Late Night Thursday programing. The free October tours are already filled, but starting in November the tour will run once a month and cost $25, the same as a regular adult ticket.